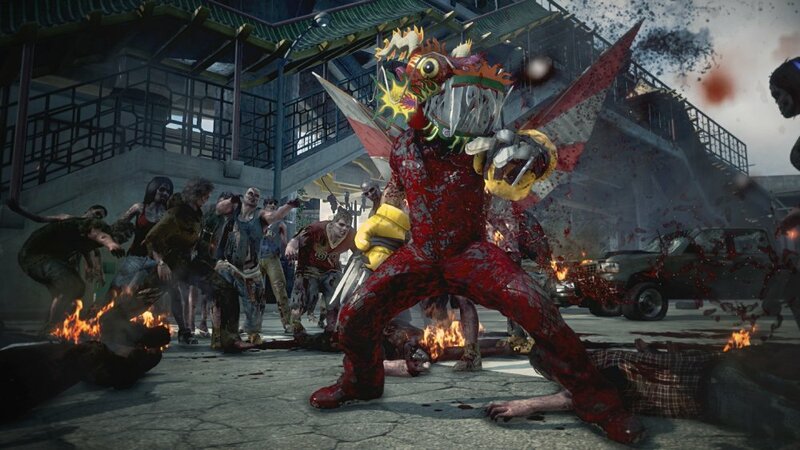 Microsoft and Capcom Vancouver revealed new information regarding both Dead Rising 3’s co-op portion and a whole new weapon type never seen before in the series: Super-combo weapons! Before we get into the new weapons portion, we are happy to relay that a drop-in/drop-out co-op feature has been confirmed for Dead Rising 3! Pop into your friend’s game or have them join your own at any point, with no drawbacks whatsoever. Additionally, when you play co-op in a friend’s game, any and all experience points and story progression made will be carried back over to your own game. Regardless of the host player’s story progression, any part of the game played and completed will be retained when you return to single player (unless you want to go back later to play levels). We did mention this a little while ago, but it’s good to know that playing co-op in Dead Rising 3 has little to no hindrances for co-op so far. But the more interesting news revealed to day was of the new Super-combo weapons being introduced. A first in the series, players will be able to construct greater weapons in this new tier of Combo Weapons using at least 3 different components. Many Super-combo weapons will require multiple steps and blueprints to build, but the payoff is well worth the effort (massive zombie slaying will ensue). Some examples revealed are the: “Ultimate Powershout”, a sonic horn made of traffic cones; “Ultimate Grim Reaper”, a fiery scythe made with a combination of a katana, a scythe, a canister of gas, and a mask; and finally the “Massive Bomb”, basically a miniature H-bomb that wipes out all zombies in an area (including your clothes). Super-combo weapons are definitely made to be intense, hilarious, and designed for massive zombie slaying action, but are also just as fun to customize and experiment with as well. Depending on the type of materials and parts equipped to a certain Super-combo weapon, the outcome and/or effects they produce can be altered in drastic ways. 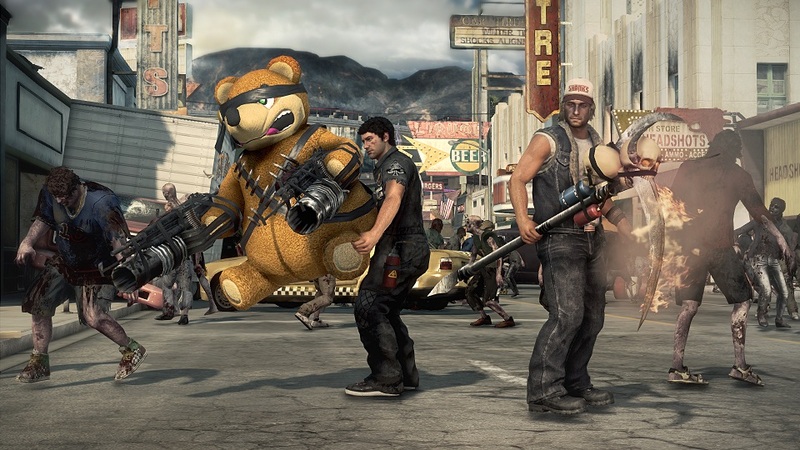 The example provided was the “Freedom Bear” weapon from Dead Rising 2, a giant stuffed teddy bear turret with mounted machine guns. Instead of it just having one version available to create, a total of eight different variations of this weapon will exist in Dead Rising 3. Mods like a boombox to lure zombies in for the kill, or having the plush ride atop a shopping cart, even equipping grenade launchers instead are all available to be decked out these Super-combos. What will you come up with? 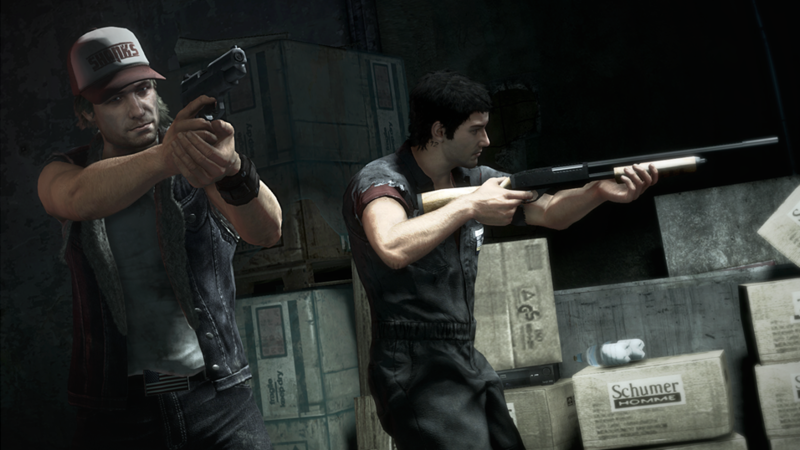 Dead Rising 3 releases on November 22nd, the day Xbox One launches in stores, and will feature a 2-player online co-op mode. Page created in 0.4926 seconds.